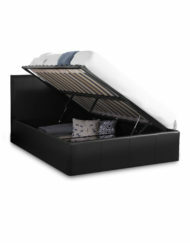 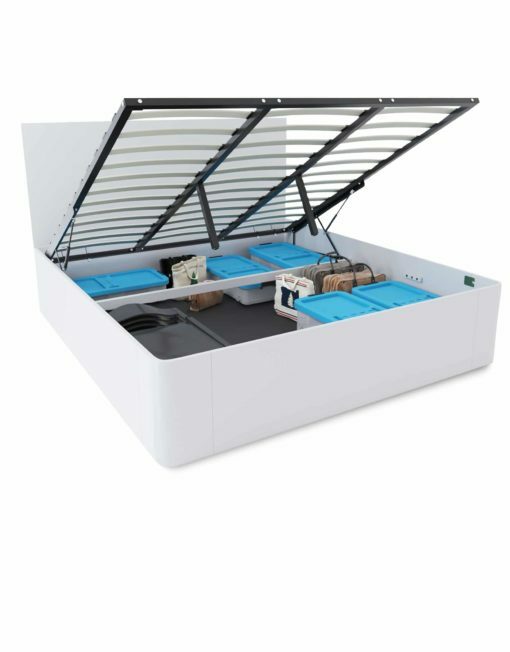 The Pratico King Storage Bed with gas lift allows quick access to a deep 13 inch storage compartment. 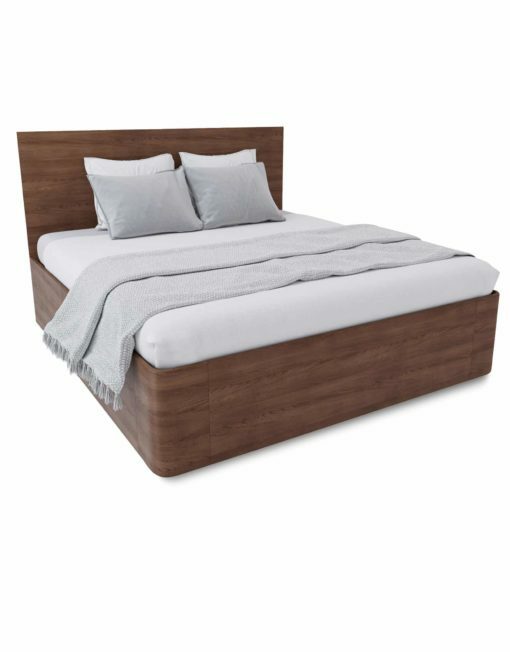 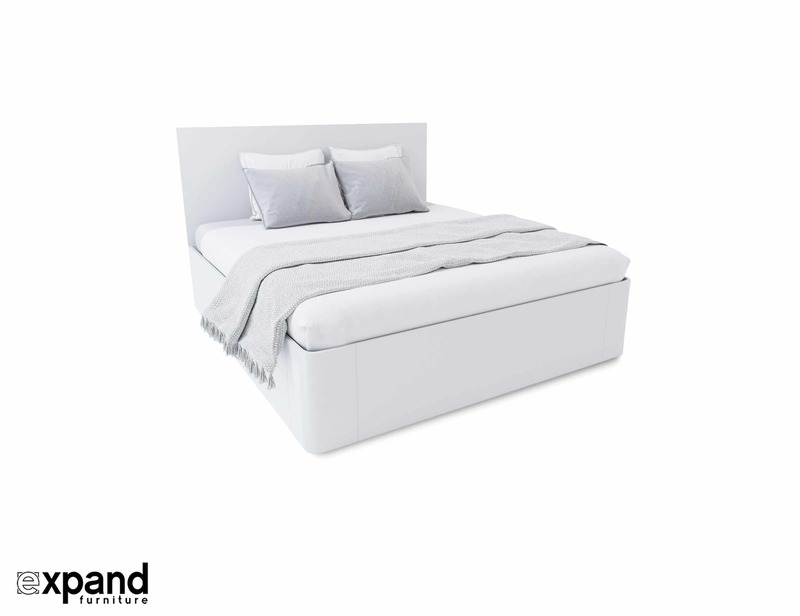 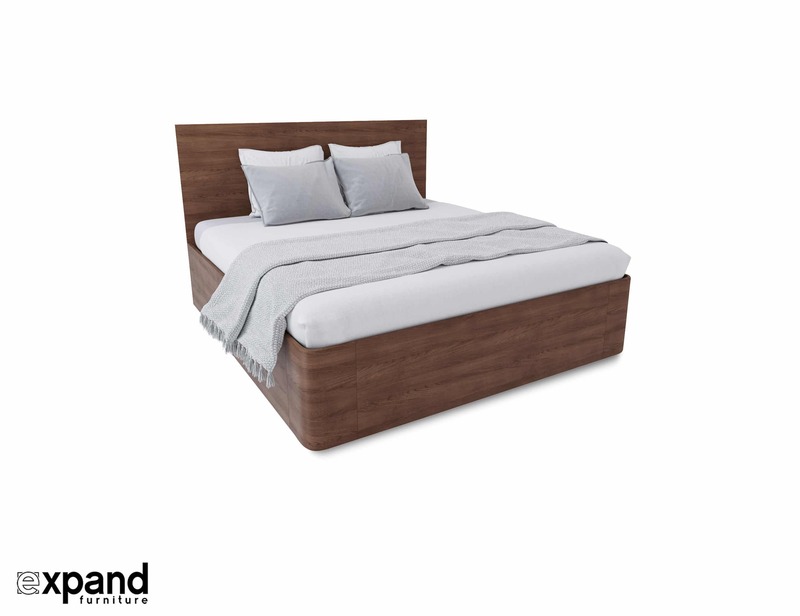 Rounded corners, inset mattress and a tall headboard for balanced aesthetics, this is one eye pleasing King Storage Bed. 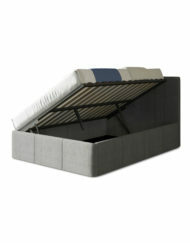 Access your huge storage compartment by lifting the metal frame of your King Bed. 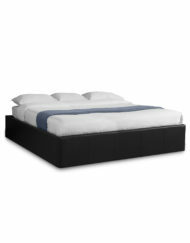 This well designed King storage bed offers over 50% more storage than the typically 8-inch depth beds. 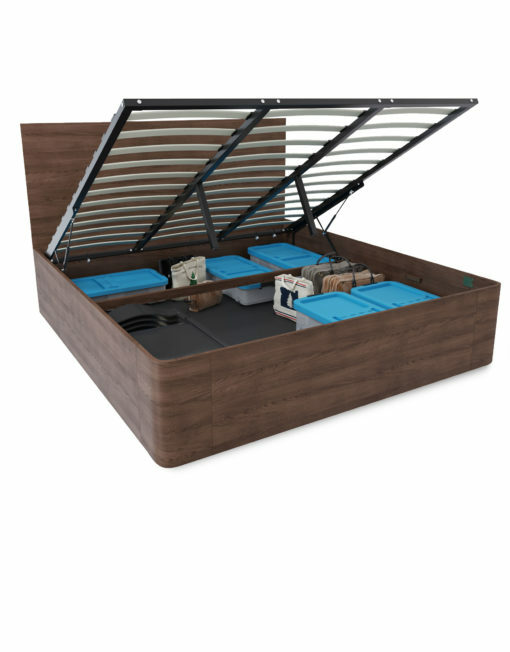 The completely open storage compartment is designed so you can organize your goods and it is compatible with large or long items like Skis or suitcases or golf clubs. 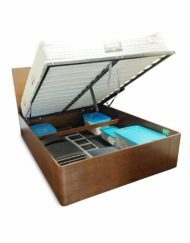 The choice is yours with flexibility in size and tall height, this king bed storage compartment allows items that would not normally fit in the average lift bed. 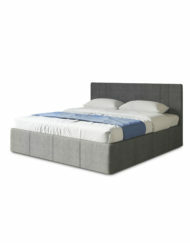 The straight headboard can rest against your wall or it can be removed to maximize your space. 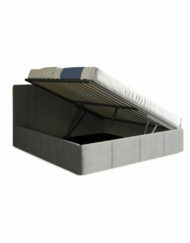 The bed rests right against the ground but has a thin mesh layer to separate it from your floor. 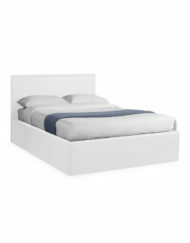 The well thought out split frame construction makes moving the bed through doorways practical. 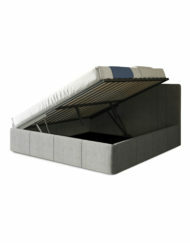 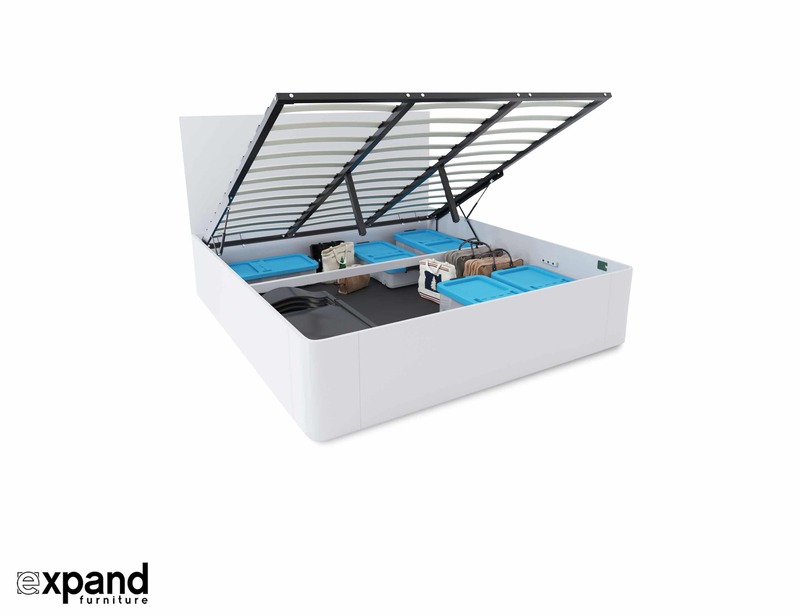 The frame can work with a mattress of your own choosing and comfort level. 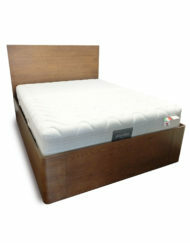 Select a King mattress from your local store or buy our awesome Magniflex mattresses with adjustable comfort (Bonus save $500 on this bed if you purchase our mattress)! 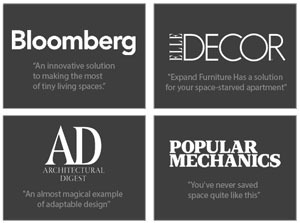 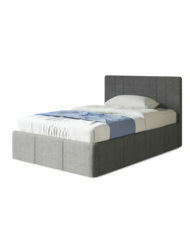 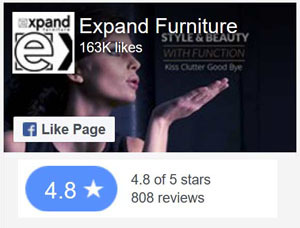 *The unit does not sell without the headboard but it is removable. 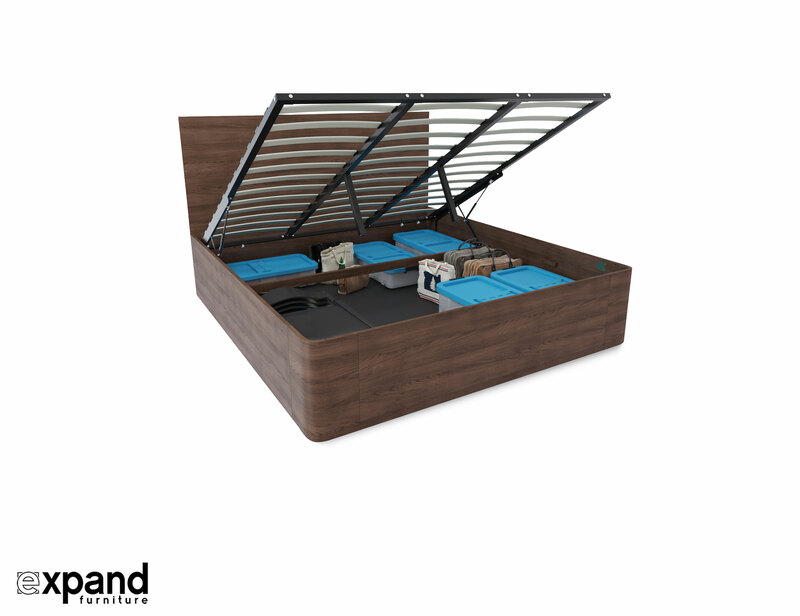 3-4 weeks by ground in North America. 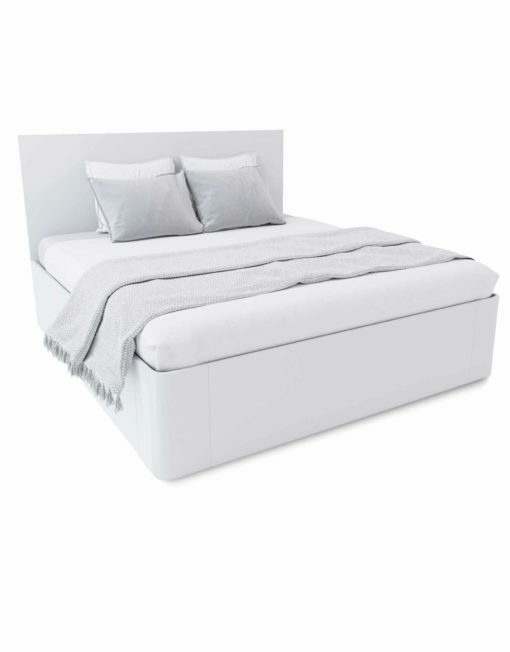 For International please inquire on rates.